Oh boy am I late today or what?! Here is my Thursday drawing as I continue working on “Gentle Compassion #3. 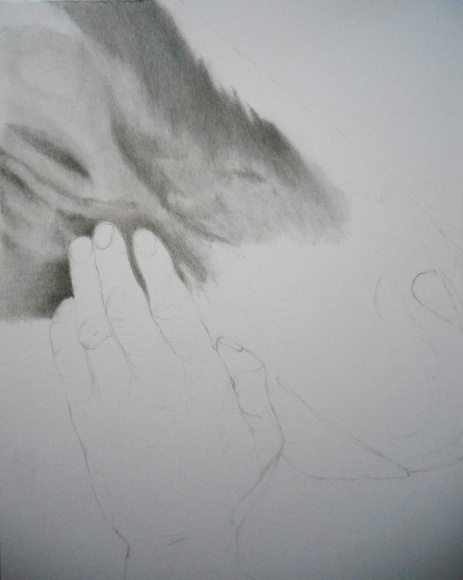 The drawing is still focused on the horse’s head – halfway through the first layer of graphite and blending with tortillium. So sorry about the photograph, I had to do a close-up for detail and couldn’t get a good focused shot. You get the idea . . . oh, I see some areas that need more blending out. The drawing is showing too much indentation, the hide hairs will be blended more evenly during the second application of graphite . . . Seeing how hard you labor on your artwork makes me feel as being a photographer is cheating. So much more emotion goes into your work when you put pen to paper as you will. Ah, but as a photographer you get to see and create that one intimate shot that most of us miss when we rush through scenes. Your eye develops differently than the rest of us. 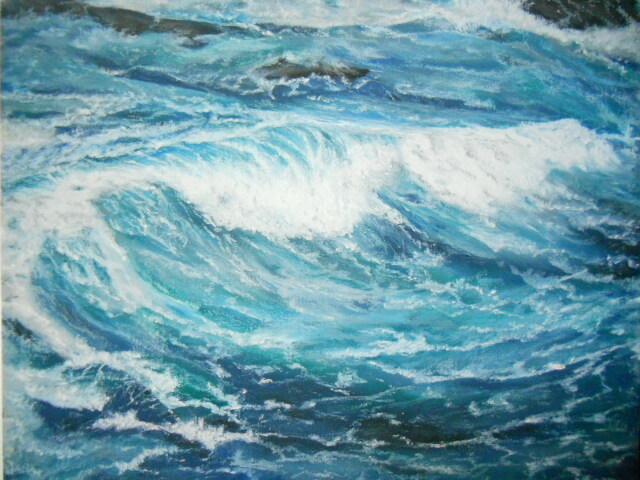 As a painter-artist I tend to get an intimate, emotional feel when I begin to paint a subject. I guess in the end, it’s the same – but only expressed with different tools. I admire your work! I admire your patience and discipline! The drawing is going so well, and it must be hard to stop! I can all but reach out and touch that horse! I was an equestrian when growing up and was forever on my horse, so each week I really enjoy seeing your progress with this drawing! For the rest of this week I will be online for at least an hour each night – yay! I’ll be catching up! Thank you Z! It’s interesting and I’m enjoying the experience. There is a large patch of white hair along the length of the horse’s head down to his snout – so his head will take a whole new direction once the background gets filled. Thanks and you are connecting on the “Compassion” port of the drawing – very cool. I’m glad this brought back wonderful memories of your childhood years. Very nice to see your work in progress !